Is your little one getting more inquisitive everyday? Had any of those awkward conversations yet about how babies are made? Perhaps you’re expecting another one and big sister or brother have started to get interested in the whole process! What about potty training? Personal hygiene? We’ve picked out three of the best books aimed at toddlers and youngsters which are fun to read together. 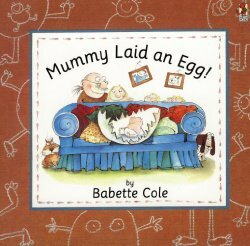 First up, Babette Cole has a great collection of books to help any parent out when it comes to some of those awkward conversations. So how are babies made? Just how are babies made? Erm Well. . . they’re delivered by dinosaurs squidged out of tubes and found under stones! In this story the kids put their embarrassed parents straight and dispel the myths surrounding baby-making, growth and birth. Babette Cole careers through the facts of life with her no-nonsense text and funny illustrations. 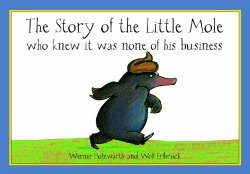 Published way back in the 1960s, Werner Holzwarth’s book about the little mole who woke up one morning to find that someone had pooed on his head, is a brilliant gift for any potty training youngsters. The Story of the Little Mole who knew it was none of his business, really is a classic that still delights kids today. We’re back with Babette Cole and Dr Dog – a dog and a doctor. Meet Doctor Dog, he’s the Gumboyle family’s favourite pet and their very own trusty physician. 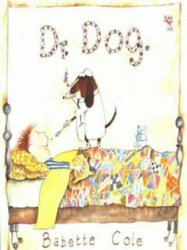 When Doctor Dog jets off to a medical conference in Brazil the Guimboyles decide they can’t survive without him and so he returns to rescue them from all sorts of ailments: itchy nits, tickly tonsils and worms to name but a few. . . The great thing about these kind of books is just how many of them become firm family favourites, passed down through the generations. So how about your favourites? What recommendations would you share for those awkward conversations?